We have lost generations and continue losing due to drug addiction or the criminal path youngsters enter at some point. 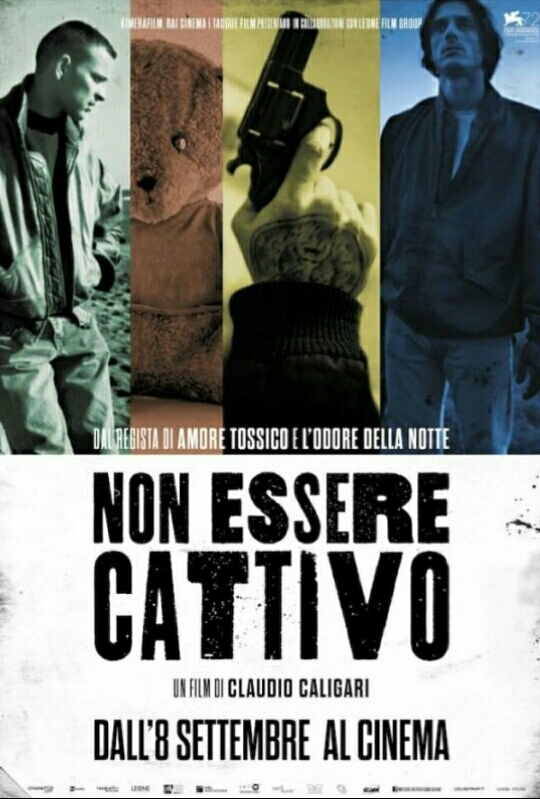 This is why it’s no easy to watch a movie such as DON’T BE BAD (Non Essere Cattivo), even though it’s just a fiction story. Set in the darkest time of the 90s when in the Roman suburbs in Ostia two best friends Victor and Cesare find themselves in trouble all the time. But to be fair, while Victor can somehow control himself and stay away from bigger problems, it’s Cesare who manages to get deeper and deeper so much so that at one moment it’s only his best friend who can prevent him from getting killed by someone. In the meantime, Cesare’s impulsive personality begets a troubled life so well that you know this “relationship” won’t end well…. Shortly after the film begins we find out that Cesare’s sister loses her life to AIDS, and is survived only by her little daughter, who is severely sick. While the young man struggles to look after his mother and niece, Cesare and Victor continue selling drugs and even use it as often as possible. The friendship between the two young men is strong enough for you to realize that Victor is willing to babysit his friend, but once he is not around Cesare is again one step away from doing something dangerous. DON’T BE BAD is an excellent and powerful drama about the importance of not abandoning a friend. But also, it is about appreciating the presence of the one who is willing to help as much as they can until the moment when that person feels fed up with the ongoing trouble. It’s about when to stop in order to continue living the life for the sake of life, or stop trying what should have never been an option. But at the end of the day, drugs and alcohol never did good to anyone… and that’s the reality DON’T BE BAD tries to talk about….